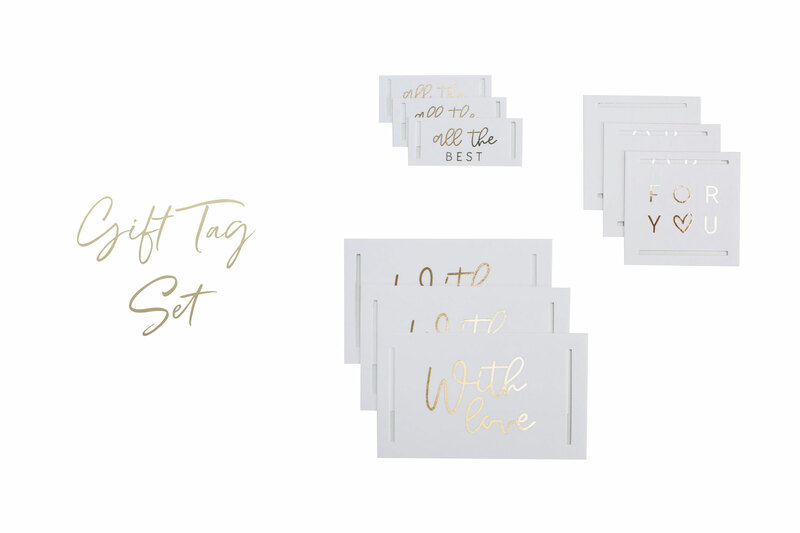 Gifts tags are a super simple and in our case super shiny way to up your gift-wrapping this Christmas! 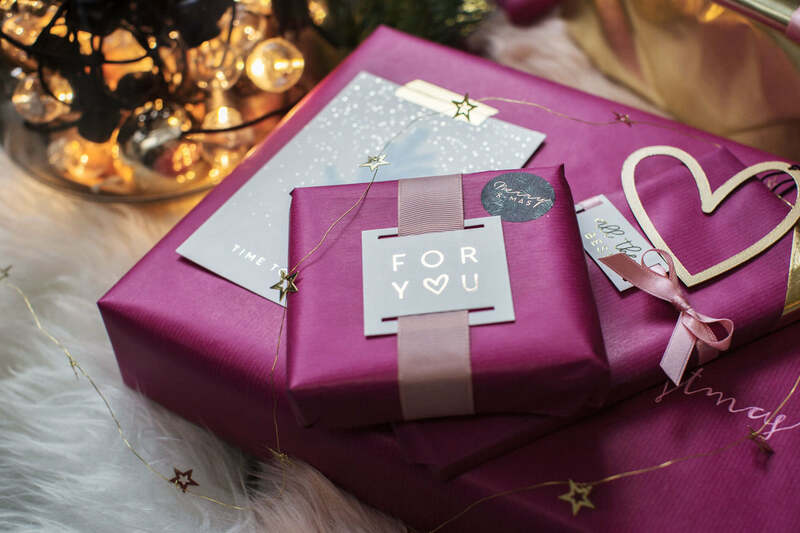 Add some personality to your gifts with a lovely note and write the name of the recipient on the back of the tag to make sure that there are no mix-ups. 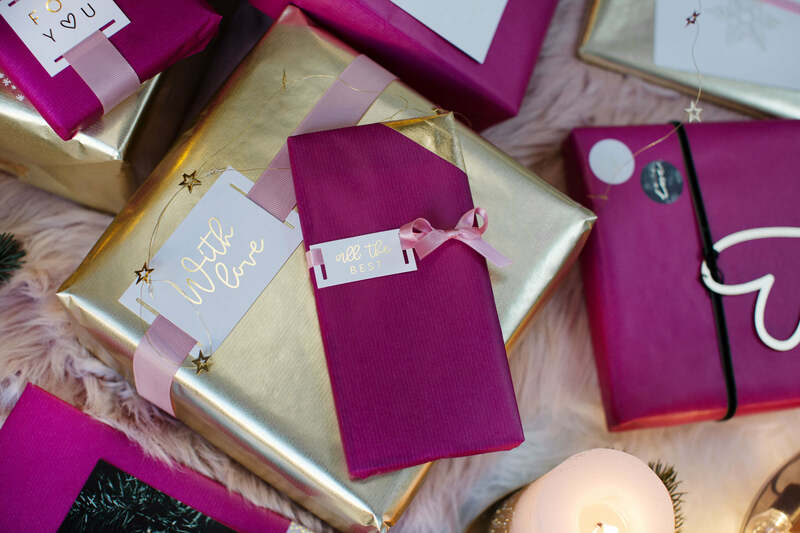 Choose a ribbon that matches your gift tag and wrapping paper and create a unique and golden present! 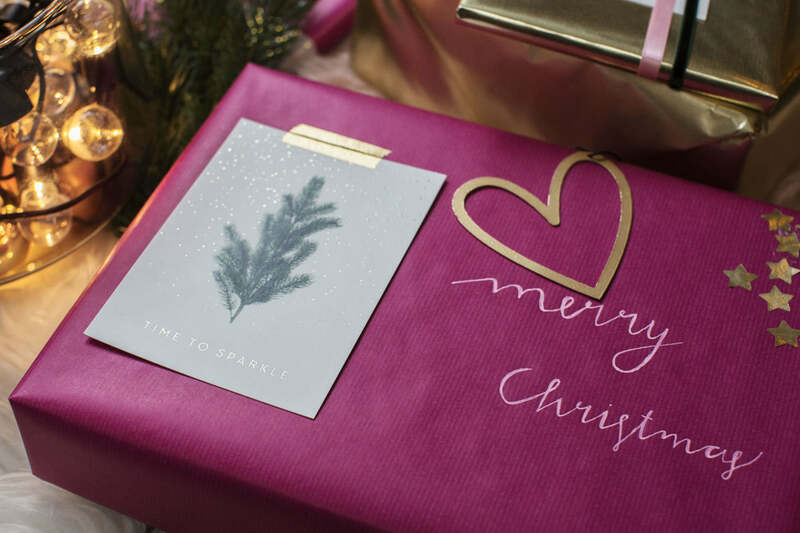 It’s one of the most precious traditions to write a Christmas card to the people most important in your life. 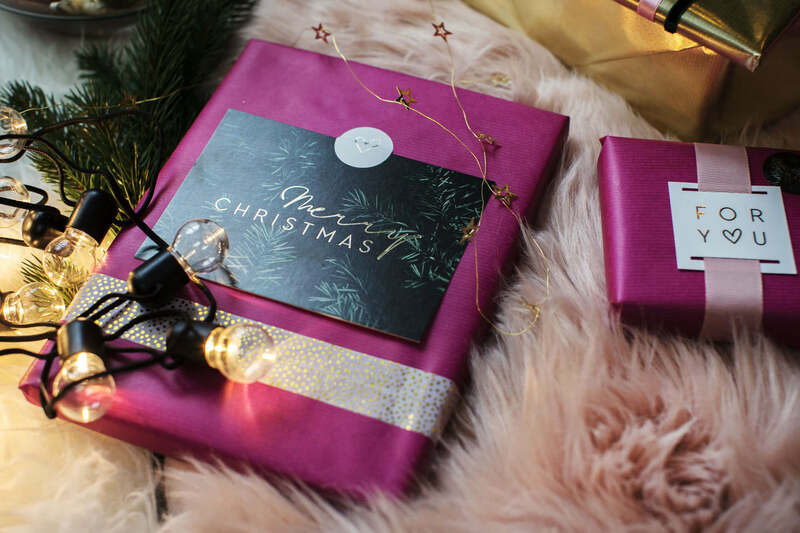 This tradition is super easy to incorporate into your gift-wrapping by adding your favorite Christmas card on top of the present. 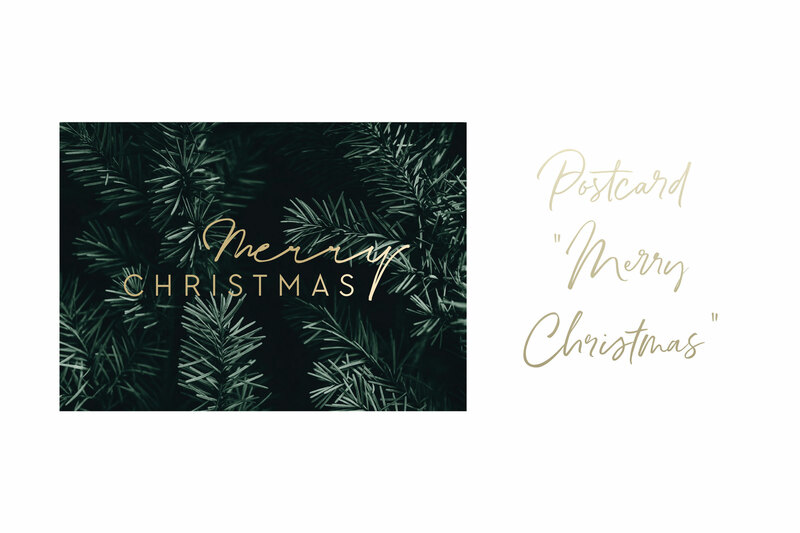 Green, white, gold or all of the above – you can find all of our Christmas cards over here. A real eyecatcher on the Christmas tree and on top of your Christmas gifts! 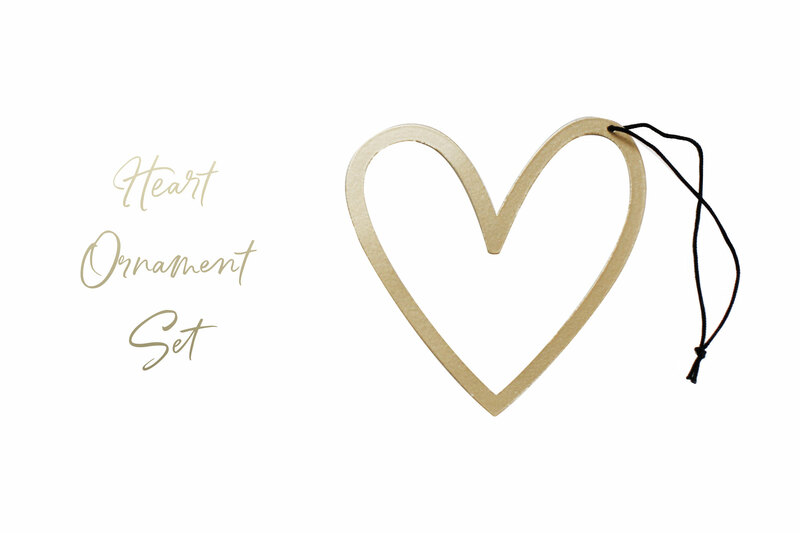 Spread some love with the shiny golden heart ornaments and create a gift wrap that also acts as beautiful Christmas decor once the gift is unpacked. This lovely little gift will always remind your loved ones of the magical Christmas you’ve spent together. 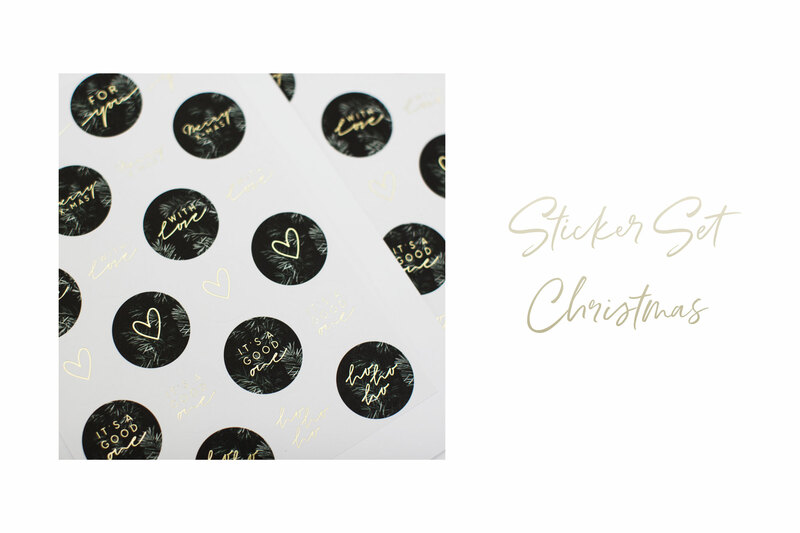 Super quick, super easy and super gorgeous – The Christmassy stickers in white, gold and green are the perfect match to your Christmas tree and make the gifts underneath it sparkle. Pick your favorite stickers, stick them onto the wrapping paper and put a smile on your friends’ and family’s faces! Your wrapping paper is missing a bit of golden bling? 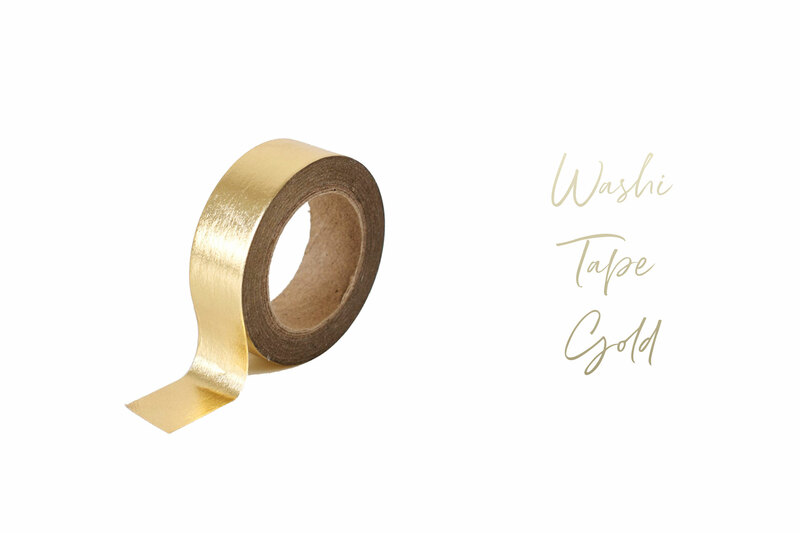 Then how about some golden washi tape to customize your gift-wrapping!? Add a couple of highlights and create your very own wrapping paper with your favorite tapes. Which one is it gonna be this year? 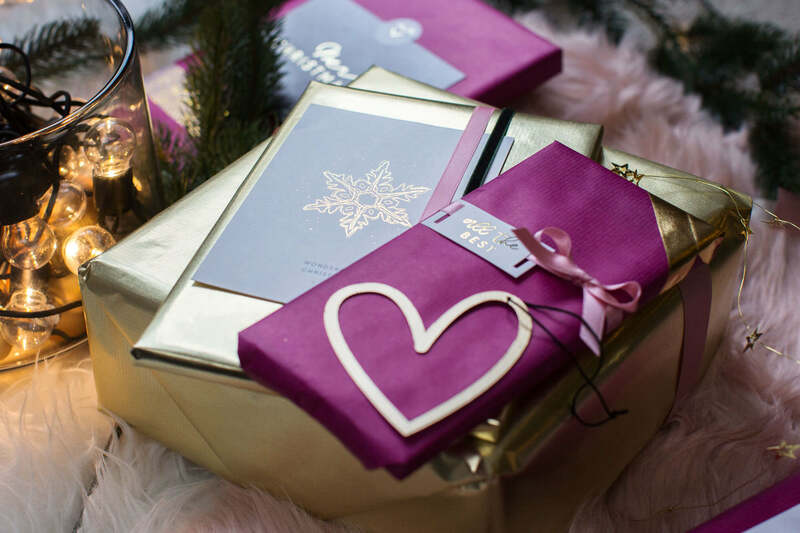 For more Christmas inspiration, take a look at our super festive Christmas page and discover all the gorgeous things for the inside and outside of your wrapping paper. 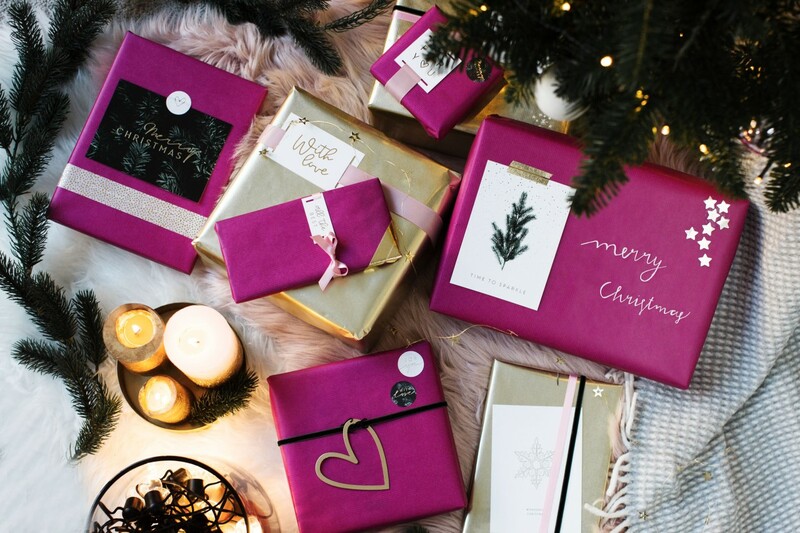 We wish you endless joy with your gift-wrapping, gift-giving and a magical Christmas time!